Some folks thinks that using a powerful vacuum cleaner is good enough to remove all dirt, dust mites, allergens, and so forth. Since dirt and grit can be embedded in the carpet fibers, in reality it is a better idea to have a deep steam carpet cleaning performed. 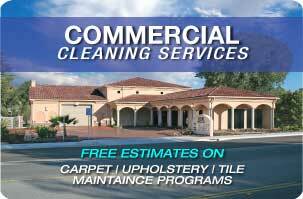 It’s best to have a carpet cleaned every 12 to 18 months. If the carpet is light in color, heavy traffic area or kids/pets, then it should be done two to three times a year. 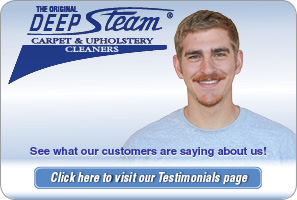 Let us, Deep Steam Carpet Cleaning do your Atascadero carpet cleaning. What are the health risks of a dirty carpet? Before a professional carpet cleaner comes to a home, it is a good idea to pick up the small items off of the floor. For the larger pieces of furniture, move or have the carpet cleaner raise the furniture. If furniture cannot be moved, try placing plastic under the legs to prevent water damage. Once the cleaning is done, wait 24 hours before putting everything back in place. This will reduce the possibility of mold and mildew in the carpet and padding. 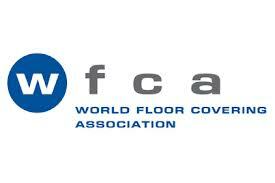 Also, it can reduce moisture damage to the floor underneath. 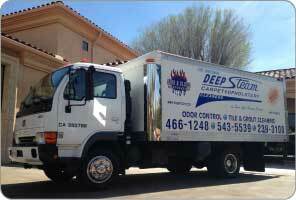 Deep Steam Carpet Cleaning Atascadero is an IIRC (Institute of Inspection Cleaning and Restoration Certified) Certified firm who specializes in Carpet and Upholstery Cleaning, Tile and Grout Cleaning/Sealing, and Area Rugs and Auto Cleaning. Call today at (805) 543-5539.